Posted on February 4, 2018 by revivewa	in Faith in Action, Features and tagged 1, feature. Aboriginal and Islander members of the Uniting Church have boosted resources for youth work, mission and evangelism at the triennial United Aboriginal and Islander Christian Congress (Congress) National Conference, held from Saturday 13 to Thursday 18 January in Geelong, Victoria. 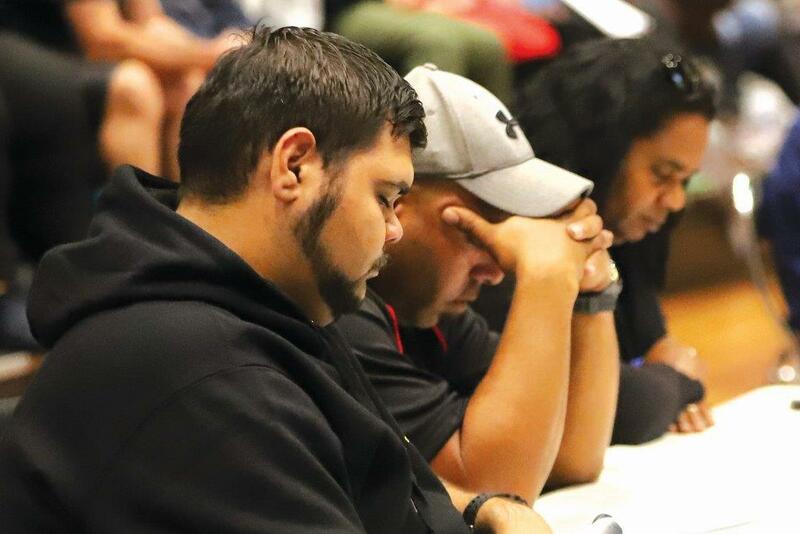 Congress will employ a full-time National President and a full-time youth worker for the next three years, to build on the strong work being done by young Indigenous church leaders in local communities around the country. Congress also rang in a number of generational leadership changes, electing Rev Garry Dronfield to the new role of National President. Garry is a Bundjalung man in placement at Sylvania Uniting Church in Sydney, who served as Deputy Chairperson on the previous Congress National Executive. Garry is well known for his association with the God Squad motorcycle group. At his installation service, Garry preached on Daniel 3:1-30, The Golden Image and the Fiery Furnace, urging Congress members to stand firm in their faith and be confident in their belief in Jesus. The President’s role will be supported by a full-time Resource Worker. Megan O’Connell, who has held Policy Officer positions at the Aboriginal Health Council of SA and Uniting NSW/ACT was announced as the successful applicant for the position. Long-time Interim National Co-ordinator, Rev Dr Chris Budden, will take up a part-time Training Co-ordinator role as he transitions towards the reward of retirement. Outgoing National Chairperson, Rev Dennis Corowa, is also headedfor retirement. He will remain an ex-officio member of the National Executive as Chair of the QLD Regional Committee. During the conference’s closing worship, both Chris and Dennis received warm tributes for their decades of service to Congress, with Assembly President Stuart McMillan and General Secretary Colleen Geyer joining to pray for the two impending retirees. The theme of the conference was ‘Trauma and Healing: lessons from Canada’ and keynote speaker Harley Eagle’s presentations on the trauma caused by colonisation in Canada led to powerful moments of sharing. On the final day of the conference, Assembly President-elect Dr Deidre Palmer also launched her theme for the 15th Assembly of the Uniting Church in Australia – ‘Abundant Grace Liberating Hope’ – in recognition of the grace and hope she sees in Congress ministry. Rev Robert Jetta (WA), Djawat Gondarra (NT), Pastor Tom Sloane (NSW), Gary Lewis (NS), Robert Taylor (SA) and Pastor Mark Kickett (SA) were all elected to the Congress National Executive. Queenie Speeding (NSW) was elected as the women’s representative. Hayden Charles (NSW) and other members of Congress Youth will also fill positions. The incoming National Executive will face a busy agenda with questions about membership, marriage, treaty and sovereignty slated for further discussion before the 15th Assembly of the Uniting Church in Australia, to be held in Melbourne in July this year. All resources from the National Conference will be posted on the Uniting Aboriginal Islander Christian Congress National Conference website at uaicc.org.au/home/national-conference-2018. Top image: Back row left to right: Vince Ross, Stuart McMillan, Colleen Geyer and Rev Tim Matton-Johnson pray with Rev Dennis Corowa and Rev Dr Chris Budden (front centre), who are heading into retirement from National Congress positions.